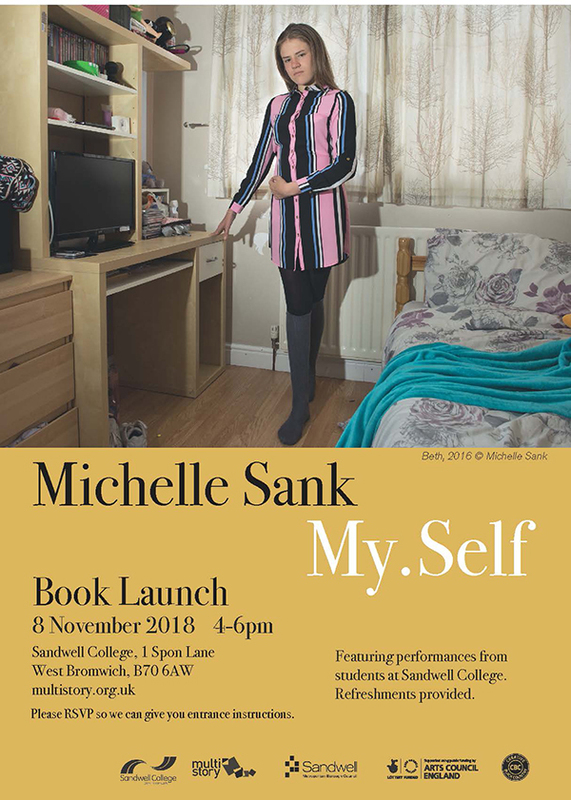 Michelle Sank has created a photographic portrait of young people from the Black Country aged between 13 and 19 years old who are forming their identities and presenting their sense of themselves about who they are through their clothes, make-up, hairstyles and their gender. The book combines Michelle’s portraits with a representation of a questionnaire that serves as a record of young peoples’ thoughts and opinions on a series of questions (not of the people in the book). All of the people who agreed to engage in the project were asked how they wanted to present themselves in their portrait. 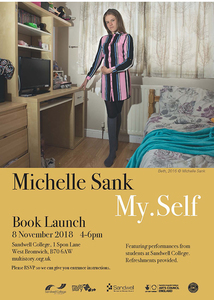 They were asked to consider the particularities and specifics of their clothes and make-up and then photographed where they felt most at ease.